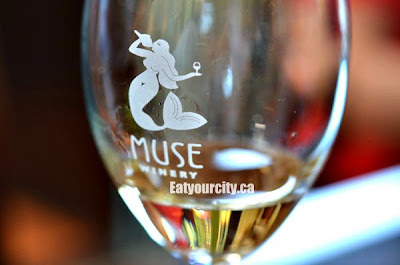 On a gorgeous and windy day, we headed off on our self planned mini winery tour of Vancouver Island. 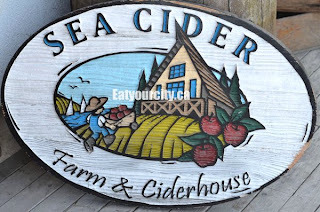 Our first stop: Sea Cider Farm and Cider House! This blew away my perception of cider. Some ranged from lightly aromatic to pungent. Most had strong aftertastes of fruit or just plain alcohol (alcoholic content was 7-19.5%).. and bore a strong resemblance to whiskey with hints of fruit. Strangely, I found the rhubarb cocktail to be one I favoured (though I am not a cider or wine connoisseur by any means). Perhaps I had my head in the cider barrels a bit too long, but the ciders began to taste better after I got through the sampler and retasted some of the dregs. While I would probably not drink these potent brews on a regular basis, Sea Cider Farm and Cider House has a definete following with their unique fruity combinations and their take on apple ciders that will kick you in the teeth. Within their gift shop, I had to snap a pic of these apples.. made of soap! 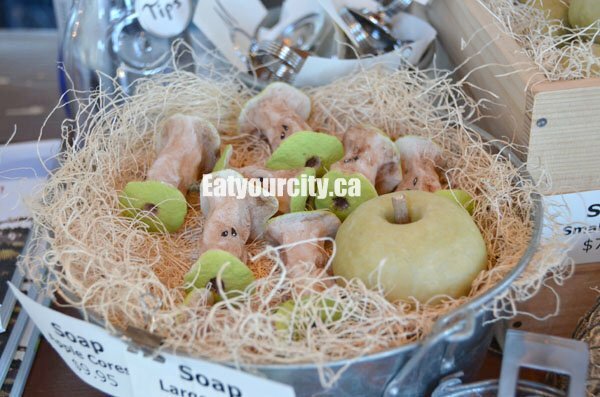 Though some maybe after having too many sip of cider didn't realize it was soap... LOL! Next up was Muse Winery!!! They had this neat art piece - painting with a wine bottle and stemware in front. Very cool! We tried two reds, and several whites. 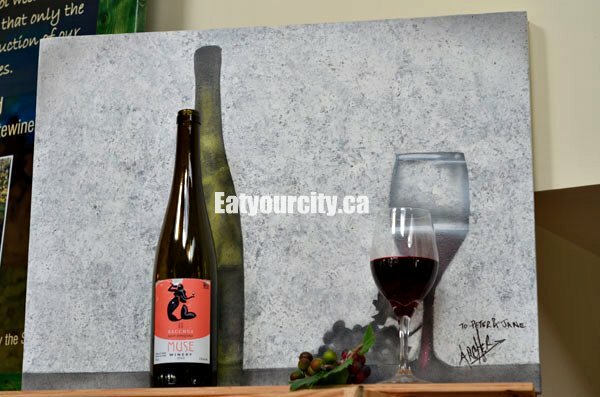 We're pretty new at developing our palate for wines, so bear with us. Most of the wines we tasted were dry with strong tannins. 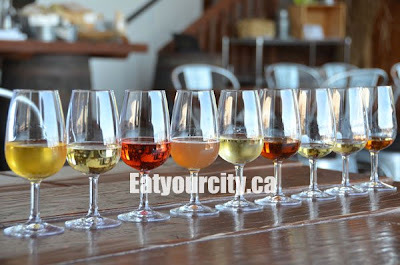 However, if there was one lesson we learned along the way, we should have not had wine tasting after tasting 9 strong apple ciders at Sea Cider Farm and Cider House right beforehand LOL! Whoops. 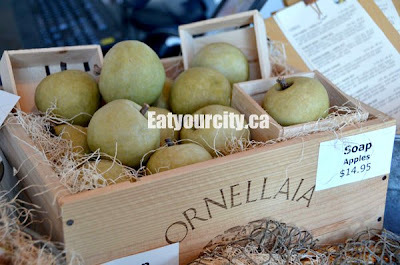 The cider really knocked out our tastebuds. In any case, it was a nice way to spend a sunny and blustery afternoon, and we headed off to dinner courtesy of our designated driver. Rum Runner is made of Winter bananas, a variety of apples, not bananas, and the last and sweetest cider is "Pomona" ;)the names can be confusing!